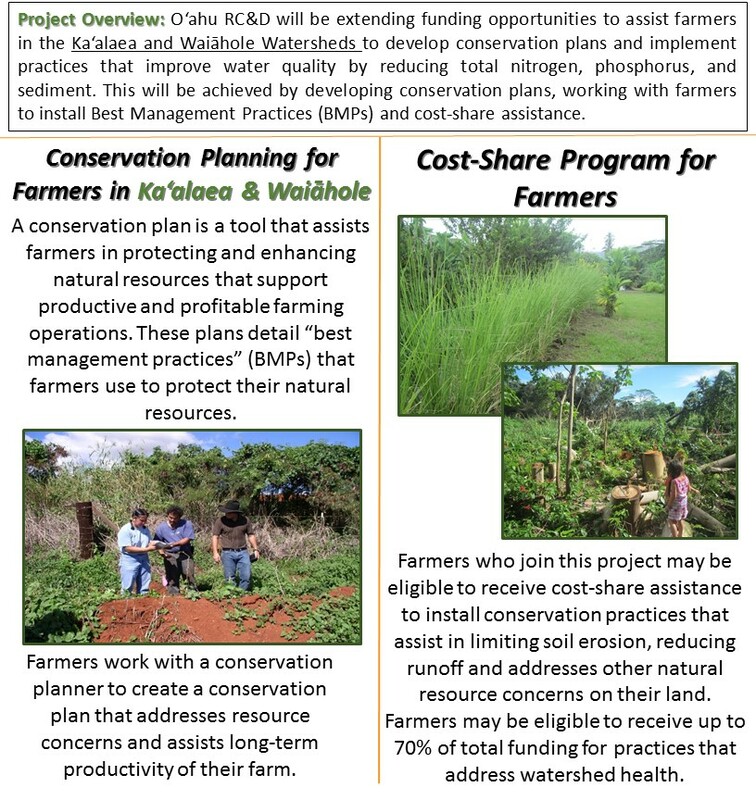 Click here to view more information about BMPs and cost-share assistance in Kaalaea/Waiahole. To be considered for first round selections, applications must be submitted by 3:00 PM on September 29, 2017. 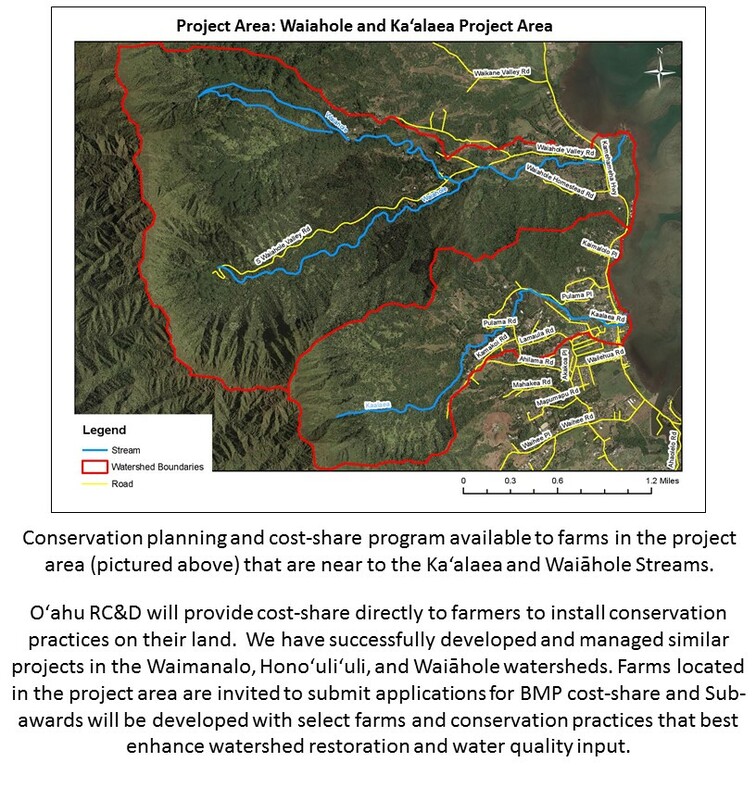 Installation of conservation practices must be completed by August 1, 2018. Please fill out the application using this fillable pdf and email the application to admin@oahurcd.org. You may also mail to O‘ahu RC&D at: PO Box 209, Kunia, HI 96759. Or hand -deliver to: 92-1770 Kunia Road, Kunia, HI 96759 (must call 622-9026 to set up appointment).